Pollen is a fine to coarse powder consisting of microgametophytes (pollen grains)which produce the male gametes (sperm cells) of seed plants. 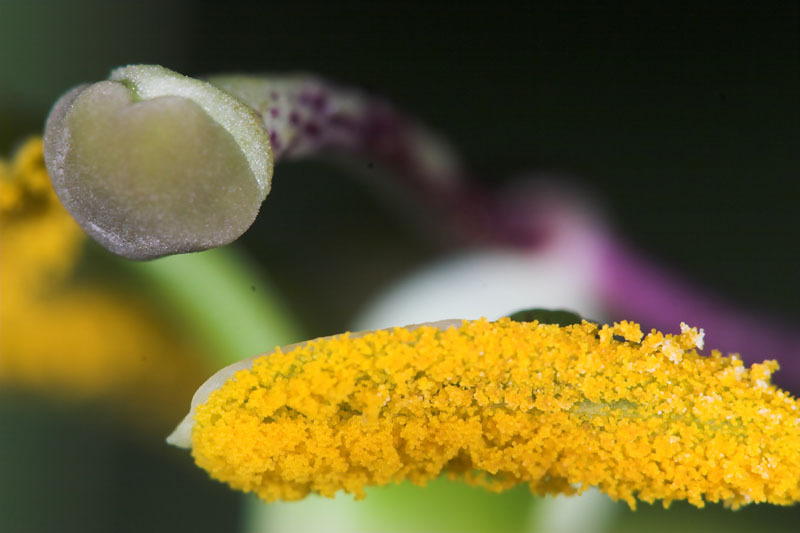 There are remarkable processes involved in pollen adhesion & stigma pollen interaction. There are also mysteries with regard to self pollination. Even within the Passiflora Genus their pollen grains show remarkable diversity. Despite this there are surprisingly few studies of them or published images. Thanks to the kindness of Frans Holthuysen, Dr Clive Steele and others, this site has a unique archive of Passiflora species and hybrid SEM images which will added later this year.